Pheww its been quite a month……………………………. Cloud9 were asked to provide consultancy, installation and support on recommended improvements to a Contracting Company IT Infrastructure. They provide support to a select group of the UK’s largest facilities maintenance companies, who in turn manage and maintain buildings and infrastructure for end user accounts within government and institutions across the UK. Such end user accounts include Hewlett Packard, Barclays, Alstom, Capgemini, Portakabin and many more. Cloud9 Introduced a Hewlett Packard Proliant Windows 2016 Server to centralise the management of their users, Backup Solutions to ensure all important documents were safely stored, Corporate anti virus and security solutions to ensure a safe computer environment. Cloud9 also migrated their Email systems to office365 providing better integration with their mobile equipment and improved services for their mobile workforce. The Companies SQL Database application was integrated into the solution to provide seamless support, backup and management capabilities. Then we had the cabling of 62 points at a Homecare and Care Homes Company, Installing Their new Comms Cabinet, moving all their systems and servers into their new building and configuring new systems, servers and Multi Function Printers. Then we had the replacement of an old Windows 2003 SBS server which we installed in 2007 and which had faithfully provided a long standing client with their critical accounts systems for over 11 years. 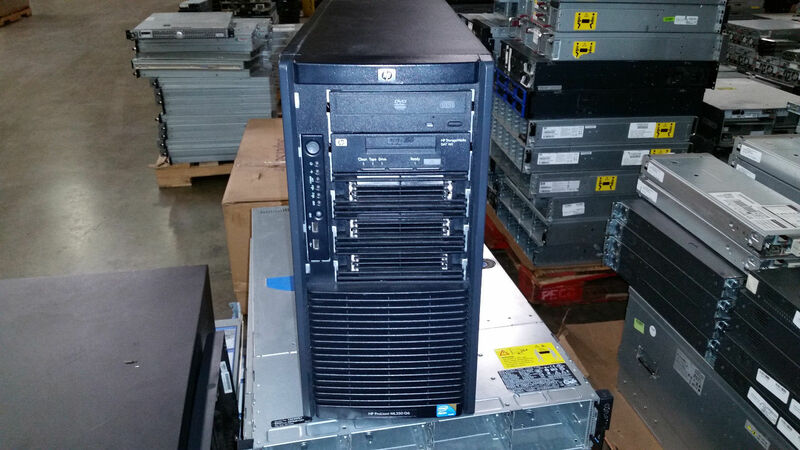 The new server was a Hewlett Packard ML350,Windows Server 2016. with 300GB Mirrored (RAID 1) Operating System drives and over 1 Terrabyte of data storage in a RAID 5 hot swap configuration. At the same time we replaced all their old Hewlett Packard PC;s with brand new HP Elite Workstations and migrated their On site Exchange systems to Office 365. All this whilst supporting our many clients across the Fylde Coast including Aerospace Engineering companies, Insurance Brokers, Financial Advisors, Holiday Coach companies, Solicitors, Accountants and many more. Many thanks to Paul for resolving our 'technical hitch' recently. A fast, efficient service.